Airbnb expanded their headquarters into 150,000 SF of space on the first, second, and third floors of a historic warehouse in San Francisco's SoMa neighborhood. 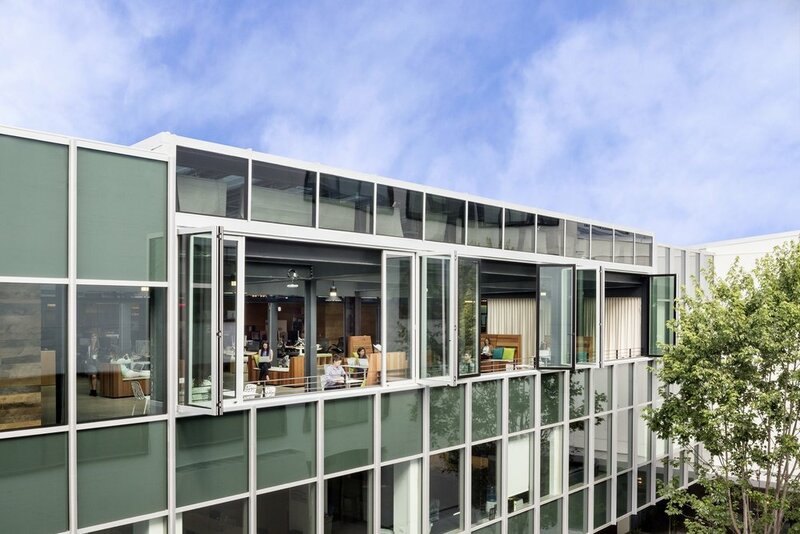 The expansion included major base building upgrades including the addition of a large skylight and opening up the building façade to increase daylight; structural retrofits; and upgrading the building's mechanical and electrical systems. Tenant improvements included the creation of open individual and group work areas, conference rooms, cafés and dining areas, assembly spaces, and a large commercial kitchen. Copyright © 2018 Urbanworks, LLC. All rights reserved.